Early Texas Schools: A Photographic History. One thing photographer Bruce Jordan and I learned as we researched “Early Texas Schools: A Photographic History” (2008, UT Press), is that over the past 150 years, school buildings in Texas have run the gamut from ostentatious, to modest indeed. 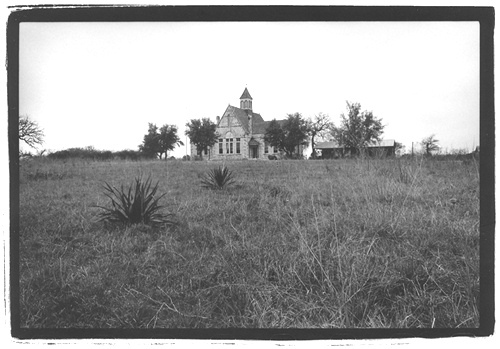 One of the most beautiful buildings we found is the Morris Ranch School, in Gillespie County. The cut limestone structure complete with bell tower was built in 1893 by a wealthy horse breeder for the children on the ranch. The school had sliding interior doors to create a flexible space, and a stage for plays and recitations. The building also doubled as a church on Sunday. No expense was spared for this center of the small community. Today the building is a private country home about eight miles outside of Fredericksburg. 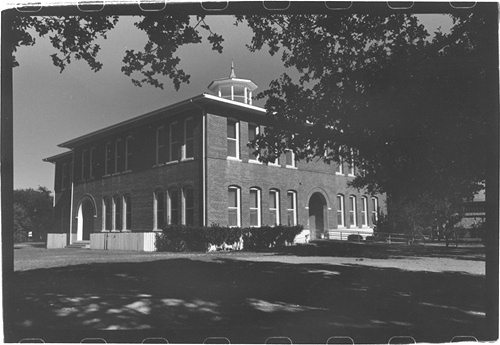 Another example of outstanding schoolhouse architecture is the red brick Bertram Elementary School in Burnet County. Arched doorways and a gleaming white bell tower give this substantial building a formal appearance. 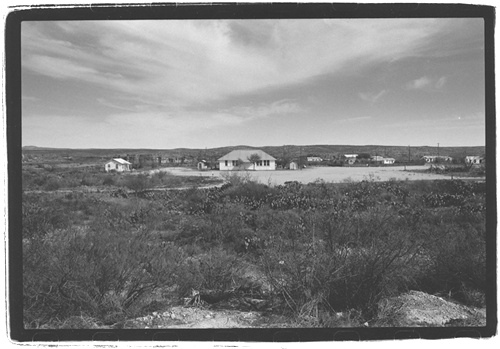 The community experienced a boom in cotton production when the school was built, and spared no expense. Classes have been held here continuously since 1909. The Jacobean brickwork of old Palestine High School shows the fine craftsmanship that created this building in 1916. Anchoring one side of a green city park, this dark red brick structure now serves as the Museum of East Texas Culture. This building demonstrates that cities and towns can build beautiful architecture that serves the area for a hundred years or more, when adequate funds are available for schools. Not all communities in Texas had the financial assets, or have them even today, to build such fine public buildings. In the small town of Langtry near the confluence of the Pecos and the Rio Grande in southwest Texas, a wood frame school with a tin roof was built when the railroad stop made the community thrive for a few years. When the railroad quit stopping there, most of the families with children moved on as well. Today the building is used occasionally for community functions. Schools for black and brown children in Texas suffered the most from lack of funding. 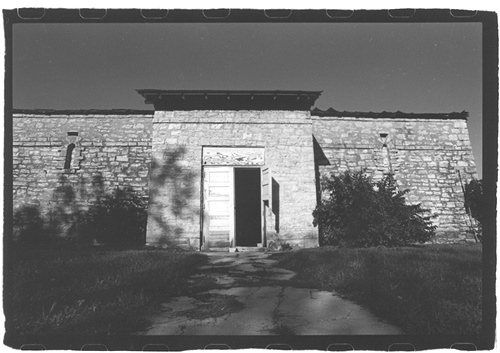 For example the two-room Lampasas Colored School constructed of stone in 1923 went 25 years without indoor toilets. 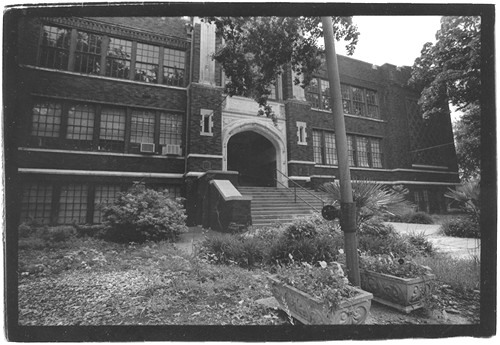 Although the school did have a modest stage, it had no kitchen until around 1948, and still lacked athletic fields when the school was closed in 1963 due to integration with the all-white school a few blocks away. Today the townspeople, both black and white, have refurbished the old schoolhouse and count it as one of their important historical buildings. There are many other examples of outstanding school architecture across the state, and almost always these were built in a booming local economy. The reputation for modest school buildings was generally substantiated by small, rural schools or those for minority children. Some schools were built by parents by hand from materials donated for the project. In some cases, students and teachers themselves turned carpenter or mason to erect an academic edifice. Many schools were built on donated land. One thing all schools had in common, however, is that they were built with hope. And today they still are.